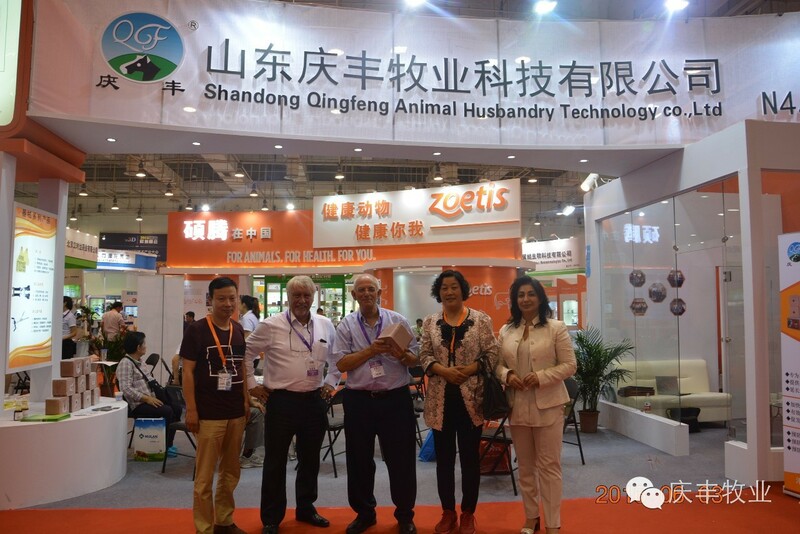 15 years later, our Chinese customer profiles have grown from farms with 2 cows to some modern super farms with a minimum of cattle heads of 2,000. 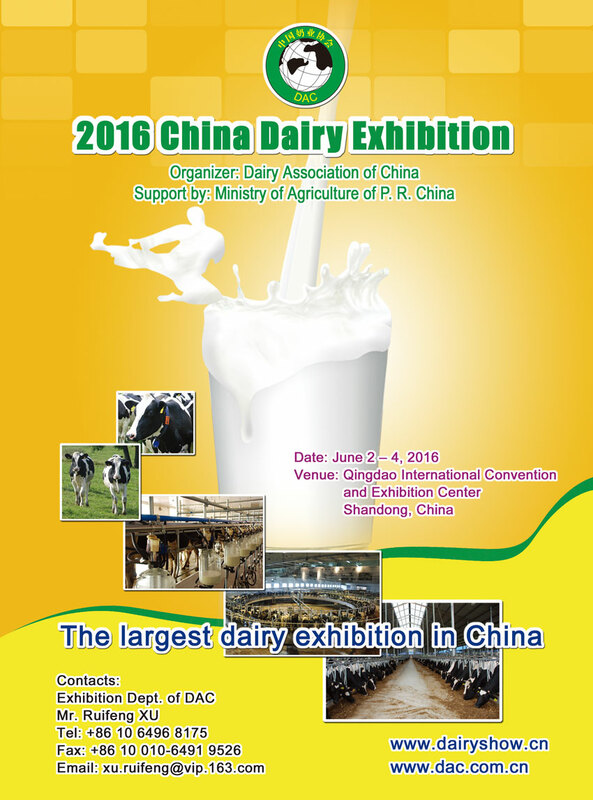 During the past 15 years’ time, China has established one of the biggest dairy markets in the world. 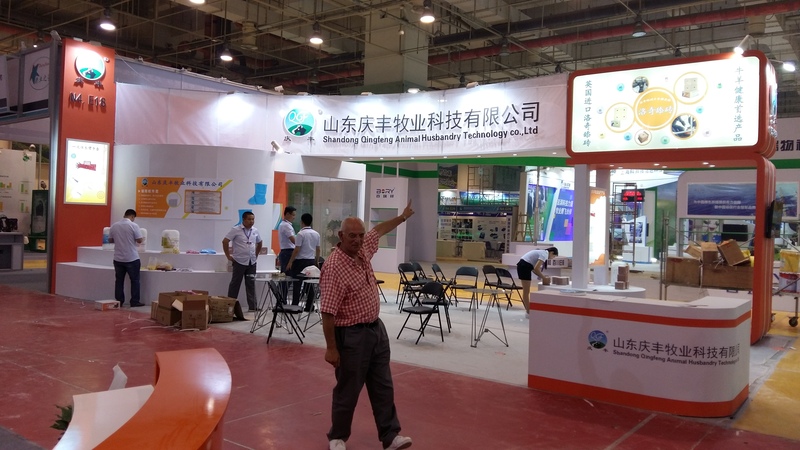 According to Dairy Association of China, in 2015 there are now 789,000 cows on DHI testing programmes, the annual milk production is over 37.5 million tons which is 0.8% higher than 2014. Tithebarn, as many other dairy related industries has benefitted hugely from this market expansion, and we are proud to claim that everyday there are one million livestock in China benefiting from licking the ROCKIES range of mineral blocks. 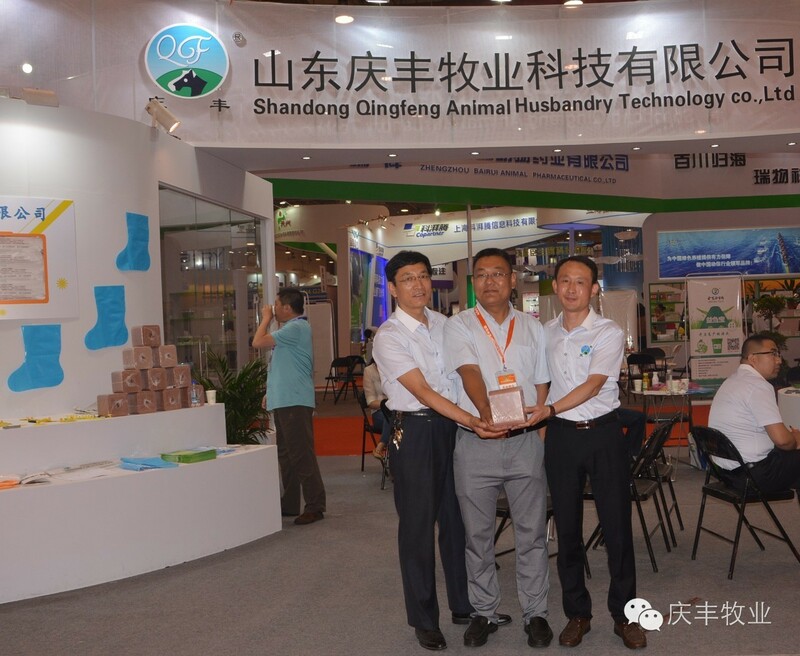 With a fast growing customer profile, including YILI, MENGNIU, the two dairy giants in China, Tithebarn, together with our Chinese exclusive distributor ShanDong Qingfeng Animal Husbandry Technology Co., Ltd welcomed our customers to the annual China Dairy Exhibition, which has always been a time to catch up with local customers, exchange ideas as well as establish new partnerships. 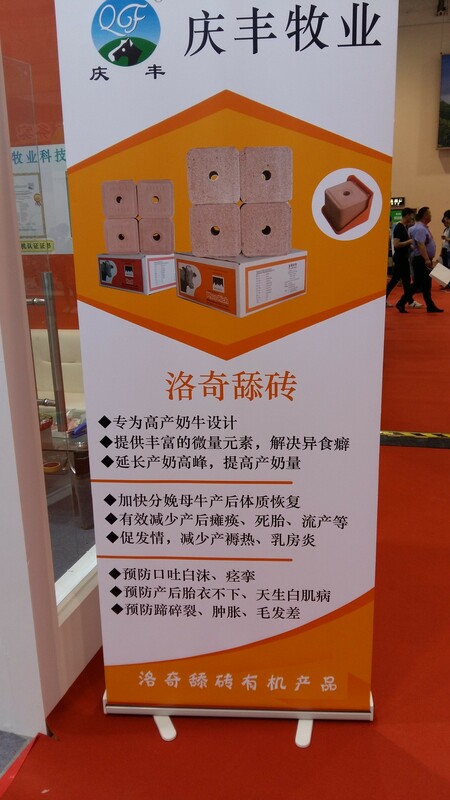 The exhibition, this year being held in Shandong Province, where our distributor is based, saw both the number of exhibitors and visitors far exceeding previous year’s attendances. 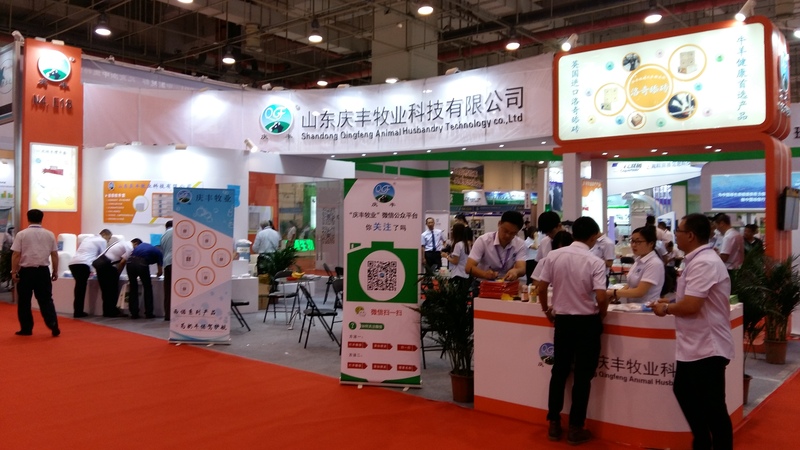 The Dairy sector is at the heart of the growth and demand for home produced agricultural products and industry players came in their thousands to what evolved into an exciting and vibrant few days of exchanging ideas and information at the Qingdao event. To our greatest pleasure, not only local producers but also Tithebarn’s key distributors from across South East Asia have attended in order to keep abreast of new developments. 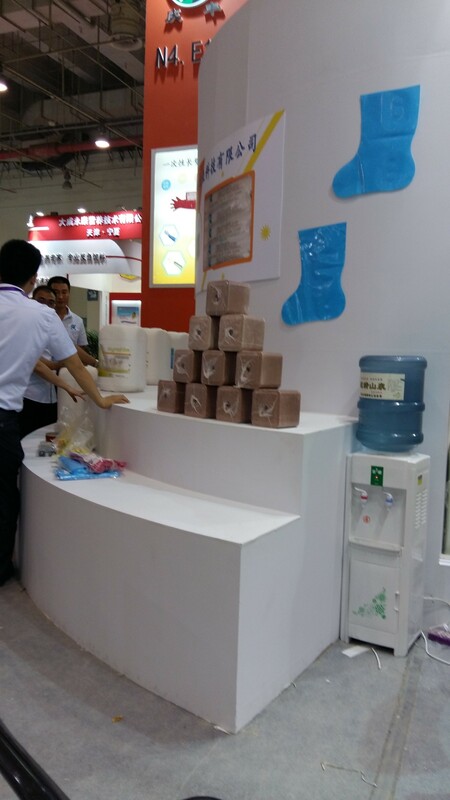 As always the need to produce high levels of top quality safe milk was of critical importance to the industry. Tithebarn contribute to the concept of high quality milk from healthy cows with healthy feeding, and we take pride in playing a significant role in assisting the long term partnership in marketing our renowned brand of mineralised salt blocks RED ROCKIES and PHOS RICH ROCKIES which are loved by millions of Chinese dairy farmers not just because of the efficacy and benefits of the blocks but also the hardness and weather bearing capacities. 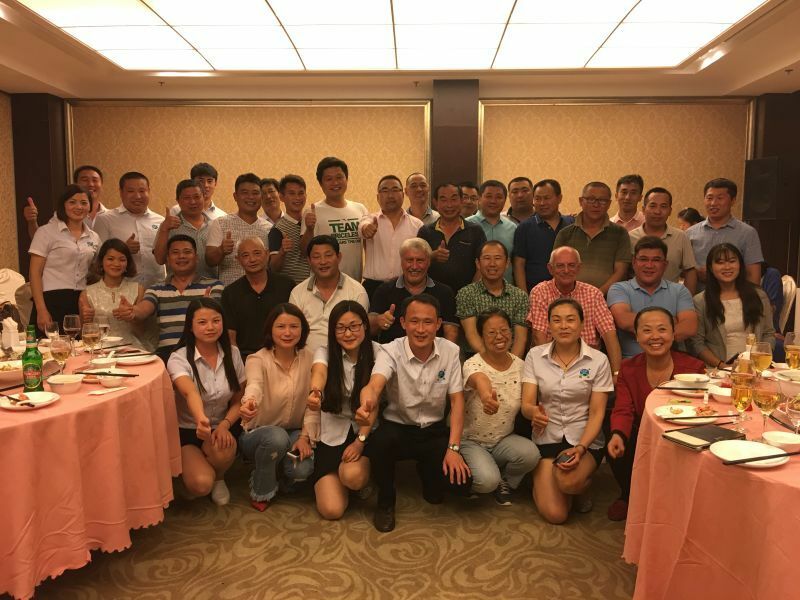 ROCKIES have won in many tender competitions and Tithebarn ROCKIES are now long term supplements for both YILI and MENGNIU’s super dairy farms. With sustainable market growth, we see an exciting and rewarding future ahead and take great pride in helping to feed the Nation.